In addition to serving as Henrico County’s Brookland District Supervisor, Dan is a husband, father, and business leader. He is passionate about Henrico County and has a desire to make it an even better place to live, work, and play. Dan is the president of RMC Events, a local company that boasts nearly 400 Henrico County citizens among its nearly 2,000 employees. Dan also serves on the Richmond Region Tourism Board, Metro Richmond Sportsbackers, Richmond Regional Planning District Commission, and the Local Emergency Planning Commission. Dan is a leader who believes cooperation is vital to keeping Henrico special. As your Brookland District Supervisor, Dan strives to represent our communities by working with fellow supervisors and County staff to increase a sense of community, expand recreational opportunities, and build upon the County’s economic prosperity for all who live, work, and play here - - all while keeping tax rates low. Brookland is a popular destination for travelers from all over Virginia and beyond. People are drawn to world-class amenities in Glen Allen. We reap the benefits of tax dollars spent by the tourists, but we also get to enjoy those facilities on a daily basis in our community. Dan has already begun important work to establish such projects in other parts of the district, like Bethlehem, Glenside, and Lakeside. Over half of Henrico’s tax dollars are spent on education. Yet students in Brookland have been forced to sit on floors and in trailers due to poor planning and inaction. Virginia law prevents supervisors from setting school policy, but Dan is using his influence as a Supervisor to urge school officials to place students in first rate buildings, rather than in trailers. Henrico has announced three new schools and Dan has already begun working with the School Board to reduce the number of children in trailers, improve the work environment for Henrico teachers, and invest millions of dollars in education spending beginning in 2020. Dan knows healthy businesses and strong economic development efforts help everyone by providing jobs to citizens and tax revenue for schools and roads. Dan believes in the “Henrico Way,” which stresses fiscal discipline in order to pay for new schools, libraries, sports facilities, and paving roads - - all while keeping our tax rates low. Dan loves helping people in his community, and he is honored to be their voice in Henrico. No one has to go through a gatekeeper to get his attention. He can be reached directly on his cell at (804) 723-1093, or by emailing him at dan@brooklandsupervisor.com at any time. Dan is an accessible and responsive supervisor for every resident in Brookland - regardless of their story, political leanings, or background. It is Dan’s honor as Brookland District Supervisor to serve everyone with equal care, respect, and effort. Dan’s highest priority as your Brookland District Supervisor is to ensure Henrico is a safe place to live, work, and play. 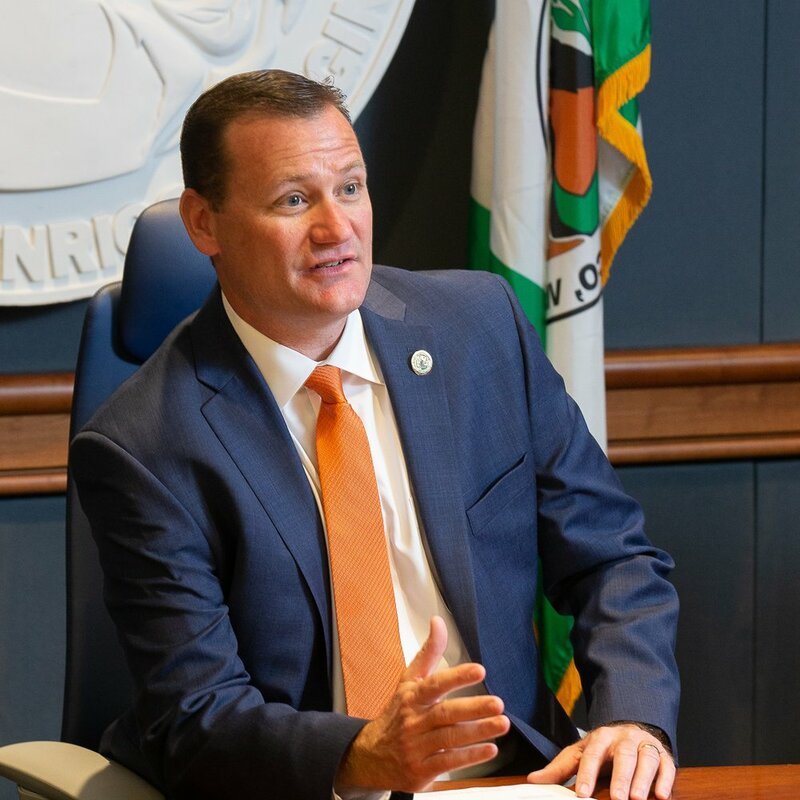 In his profession, Dan works extensively with public safety personnel in several jurisdictions, and he has a tremendous respect for the work they do on behalf of citizens. As your supervisor, Dan works daily with fire, police, and emergency medical personnel in Henrico to ensure they maintain their status among the best equipped, best trained, highly-awarded public safety personnel in the country. There is a lot to celebrate in Henrico County, but together, we are making it even better! Dan is working hard for Brookland District and needs your help to ensure that he can continue the important work he has begun! Please sign up to volunteer, or make a donation today!